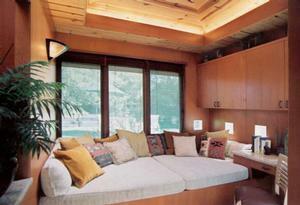 This intimate retreat space was added to the existing home’s second floor. The setback restrictions determined the room width. The use of daylighting and art niches created a broader sense of space. 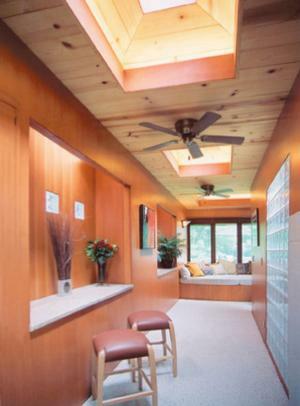 Skylights with dimmable lighting add fun light play throughout the day and night.